No member of the poet’s family, to the present moment, has assumed a biographical duty in regard to this man who brought such literary immortality to the very name of “Poe.” No doubt, in the generations of Poes who have lived since his death, such an impulse may have been felt now and then by one of his relations. But it was without fruition in the form of a published biography, at least. Surely it is a task peculiarly belonging to those of his name and family, especially in view of the amazing misinterpretations of his life and works. 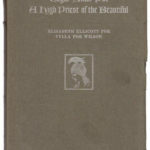 The authors have endeavored in this little volume to compress in compact form the salient facts of Poe’s life, which will afford even the most casual of readers a working knowledge of his career. He was indeed a Child of Destiny. Song-haunted and woe-driven, his few years—as men measure Time—made up a pilgrimage of sorrow on the road to the Altar of the Beautiful, whose votary and high priest he was to remain all the days of his life. Beyond all mortal hurt now is the sensitive soul of Edgar Allan Poe. Neither the praise nor the censure of man may bruise his spirit or lure him from the eternal verities. Truly, he “hath outsoared the shadow of our night.” In some Valhalla of poet souls he roams and strays, dreaming his high dreams among the lilied fields of Virgil’s Paradise. Gazing at his life in retrospect, how utterly vain it would seem to walk in the footsteps of many Poe biographers and bring into bas-relief his mortal weaknesses or even to over-emphasize the disaster which “followed fast and followed faster” at his heels. Who would write of Lindbergh, matchless child of the air, in terms of smoking or non-smoking? 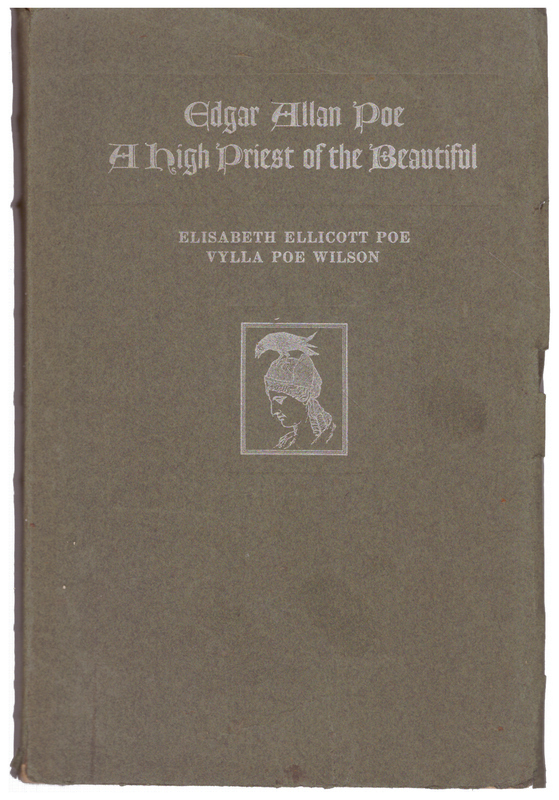 In the poems and the prose penned by Poe is the eternal answer to any detractor. He sang with the true voice of a High Priest of the Beautiful. Crystalline in purity, born of Poesy and Genius, is it any wonder that nearly one hundred years after his death the echoes of his song still ring down the Halls of Time? There is a lowly cottage cherished in the New York of today as “the small house of a great poet.” It is Fordham Cottage, the erstwhile home of Edgar Allan Poe. To this spot gladly come the great of earth to offer homage at this shrine of a nightingale of poesy. The dingy clapboards no longer resound to the voice of a poet echoing the music of the morning stars and unearthly music of midnight melodies. Yet could these silent witnesses speak aloud they must attest to the fact that there once had been one of the star children who now and then come to dwell among men. On they march, this endless procession of star children. Thank God, we see a few at least in every generation. See them come, Savonarola, gasping out his last prayer for humanity on the pyre lighted in mockery before St. Mark’s; and Jeanne d’Arc, fire ridden and maiden frighted, heroic on that cruelly high stake in Rouen’s market-place. Nor are other poets missing in the group. Here comes the boy poet, Chatterton, drinking the poison draught as he passes, and near him is Keats, another High Priest of the Beautiful, as Shelley wrote, “an echo and a light unto eternity,” yet slaughtered to make a Quarterly Review holiday. There, too, walks Poe, the Hamlet of Poesy, and with the divine fire of genius in his veins, the toy of Fate and the spurned of Fortune. Truly we pay our star children with but sorry coin. The stone of unbelief is handed to them instead of the bread of appreciation. Time, the healer of all hurts, has healed many of the wrongs and adjusted the equities in the life of Edgar Allan Poe. Today, America, aye the world, appreciates the poet Poe whom the America of yester¬day permitted to starve and suffer in obscurity, neglect and misunderstanding. The mortal went and came; And Fate that then denied him, And envy that decried him, And malice that belied him, Have cenotaphed his fame. And now, to our little book ! III- O, to be in England when April’s there!